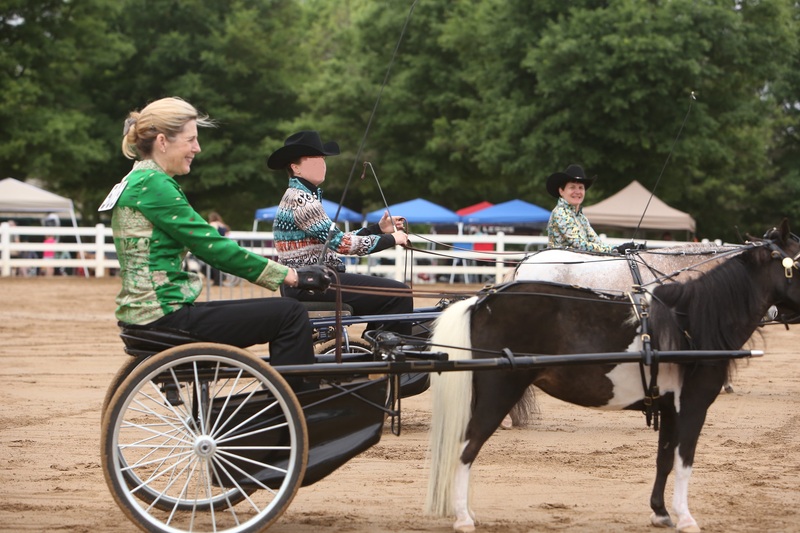 Miniature horses are the new future for many new and old Equestrians. They are useful as an introduction for youth as they are not as intimidating as a larger horse. Minis are truly your all around horse, navigating an obstacle course either in hand or with a cart, running a hunter or jumper course, pulling a cart or standing in a halter class. 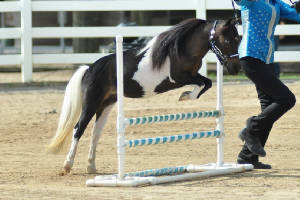 VFM Crystal Blue Persuasion (aka Crystal) is a gorgeous black and white miniature horse. Crystal has taught many adults and children how to have fun with mins and also how to show them. She is very sweet and oh so talented. She will help you navigate an obstacle course but has the pizzaz to succed as a hunter. Even though Crystal is small, only 31.5" at the withers, she is a lot of fun! 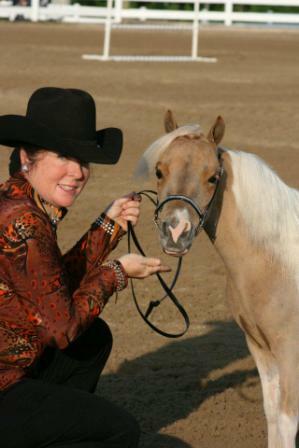 Miniature Horses will always make you smile while growing you confidence and improving your horsemanship. Simply Dun Farm will help you learn about minis, train your mini and help you at local and regional shows. Come and learn more about Miniature Horses in a fun environment. B.C. 's Hersheys Chloe Buckeroo (aka Chloe) is a princess in horse form. She stands only 29.5 inches at the withers and is our smallest horse. Even though Chloe is a small horse, she does not know it. She does great with beginners and kids and is one of the favorites for advanced handlers. Chloe will work with you and teach you alot while you have fun!